On March 22, 2009, a private plane crashed into a cemetery in Butte, Mont. 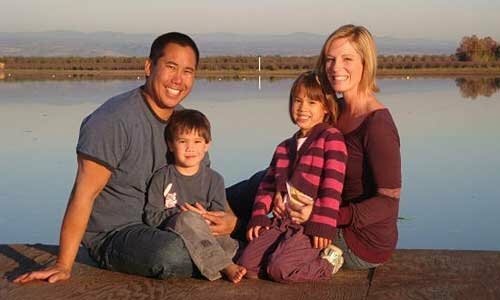 Three couples, along with their 7 children, died in that crash, including my high school friend Vanessa and her sister Amy. 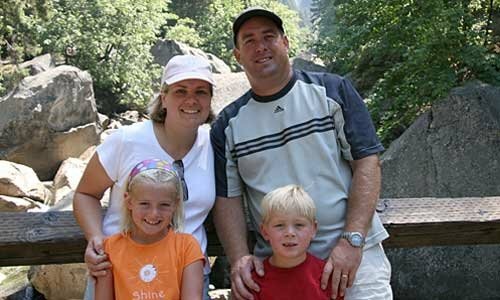 Vanessa and her husband, Mike, were absolutely wonderful at gathering friends for adventures: marathons, weekend get togethers, excursions on their family’s boat. 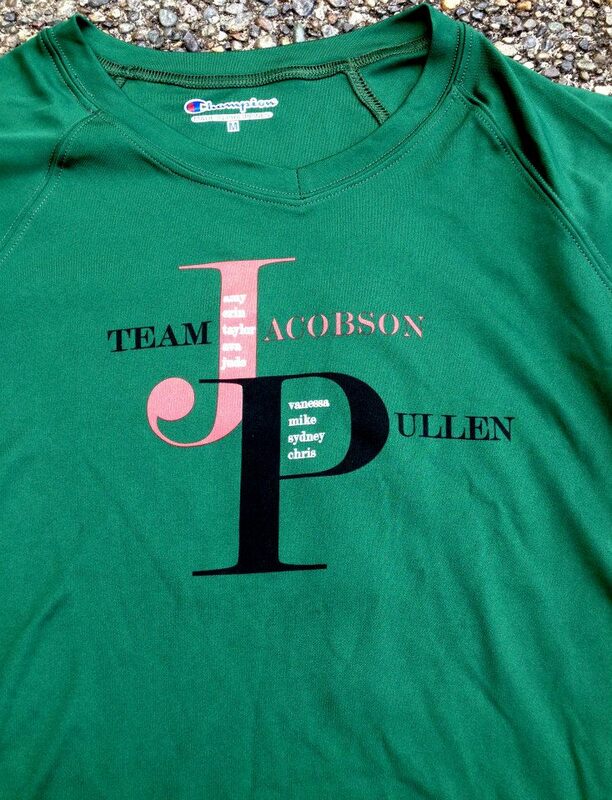 Since the crash, friends of the Jacobson’s and Pullen’s are continuing the adventures in their honor. Every time we travel to unique places, run in half or full marathons, or whenever we’re doing something they would eagerly participate in, we’re wearing Jacobson/Pullen shirts in their memory. In January, Megan and I will be doing the Tinkerbell half marathon in California in Vanessa’s honor. Whenever it’s rainy and cold, (and let’s face it, it’s cold and rainy a lot here in Seattle) and I don’t feel like getting out there to walk/run, I think about Vanessa’s ability to just dive in and do things. And I miss my friend. There’s a specific delight in introducing your kids to some of your favorite things and watching them discover it anew. Last summer, Megan and I drove to the Shakespeare Festival in Ashland, Ore. to see Our Town. I loved watching her watch the play…getting teary-eyed through some of the same scenes that struck me when I was her age. My clearest memory of the play is the third act, where rows of chairs line the stage as graves. Emily, escorted to death through childbirth, is struggling to rest in peace. When she discovers that the dead can revisit scenes from life, she decides to go back to her twelfth birthday, despite stern warnings from her fellow deceased souls. And the dead souls are right. You can’t go back. You can’t bear to watch people walking blithely through their days never noticing that the ordinary is what makes life extraordinary. Emily observes her birthday and realizes that everyone in her family was moving through their daily routine never pausing to really look and see and savor what was contained in those moments. “Do human beings ever realize life while they live it? Every, every minute?” Emily asks the stage manager who narrates the play. Hardly anyone save the “saints and poets, maybe” ever realizes life, the stage manager replies. Wilder was right that death provides us all with special lenses through which to see our lives for a time. It’s the stark reminder to prioritize well and savor the ordinary moments that grow into some of our best memories. Even though we were in Northern California for my friend Vanessa’s memorial service today, the friends and the memories were all from “our town” in Southern California. The town of haystacks and veggie burgers. Sunday mail service. Ultimate games in Ford park. Beach vespers in Corona del Mar. And crazy drives through the canyon between Redlands and Loma Linda. Friday evenings making homemade ice cream and hot-tubbing at each other’s homes. I loved the memories friends shared of Vanessa. They were utterly consistent with the Vanessa that I knew. She was genuine and kind and intelligent. Organized without being rigid. Generous and unflappable. An amazing hostess who was never pretentious or unnatural. It’s no surprise to me that she instigated an annual appreciation brunch for her kids’ teachers and the administration at Lodi Elementary—it’s just the kind of thing Vanessa would think to do…and be able to pull off beautifully. 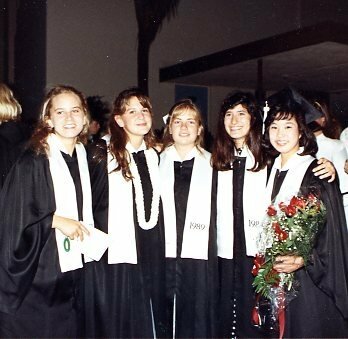 When I think about Vanessa, it seems to me that one of her finest gifts was her ability to live graciously in each moment. Was she one of Wilder’s saints or poets? I don’t know. But her life certainly reminds me to realize life as we live it. Every, every minute. Vanessa and Mike with their children, Sydney and Christopher. 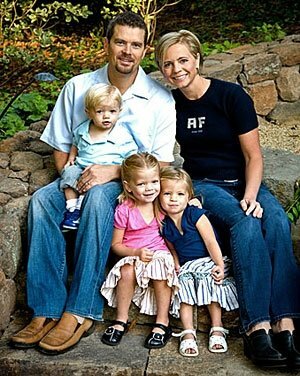 Vanessa’s sister Amy, with her husband Erin Jacobson, and their children Jude, Taylor and Ava. Erin’s older brother was Eric’s best man at our wedding. Brent and Kristen Ching with Caleb and Hailey. Before the trip, Kristen had just loaded ultrasound photos onto her laptop; they were expecting their third child, a boy. Brent’s parents are long-time friends of my family.